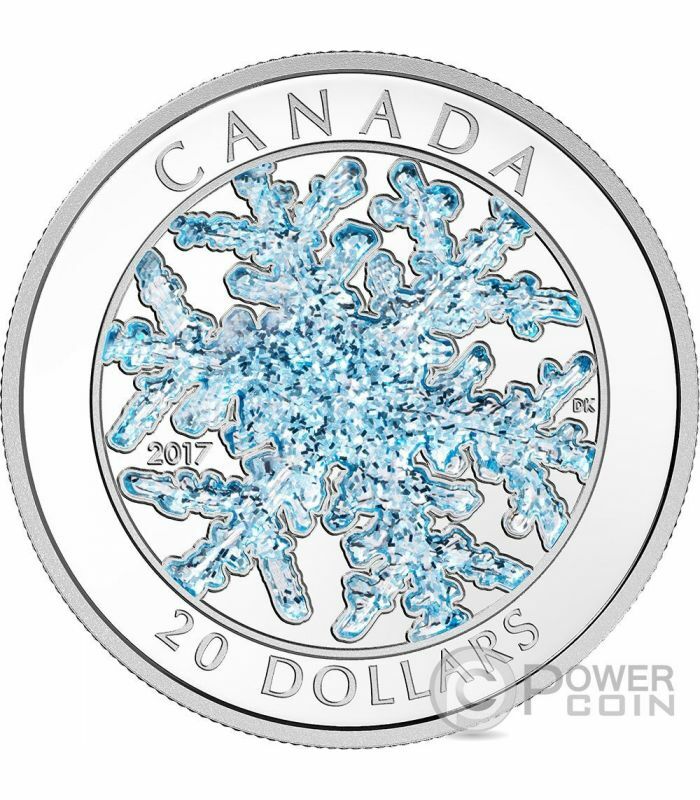 This new Silver coin features a beautiful snowflake and a magnificent view of a six-sided dendrite ice crystal to showcase one of nature's most captivating creations in unique breathtaking detail. The coin has beautiful coloration with blue, a Proof quality and will be shipped in a special case, with the Certificate of Authenticity. 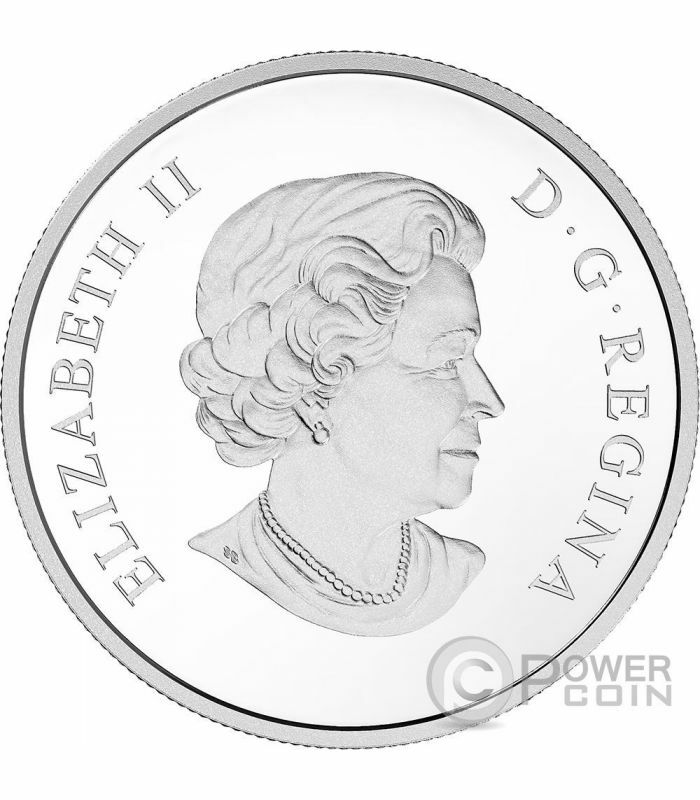 Limited mintage to 6.000 pieces worldwide. 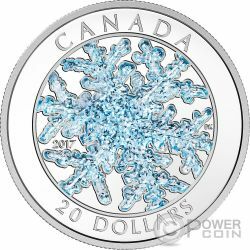 The reverse design is a stunning close-up view of a six-sided dendrite ice crystal as captured by Canadian photographer Don Komarechka, and painstakingly reproduced by Royal Canadian Mint master engravers. Extremely fine detailing enhanced with glittering blue enamel on a proof finish gives the snowflake a deeply layered look. 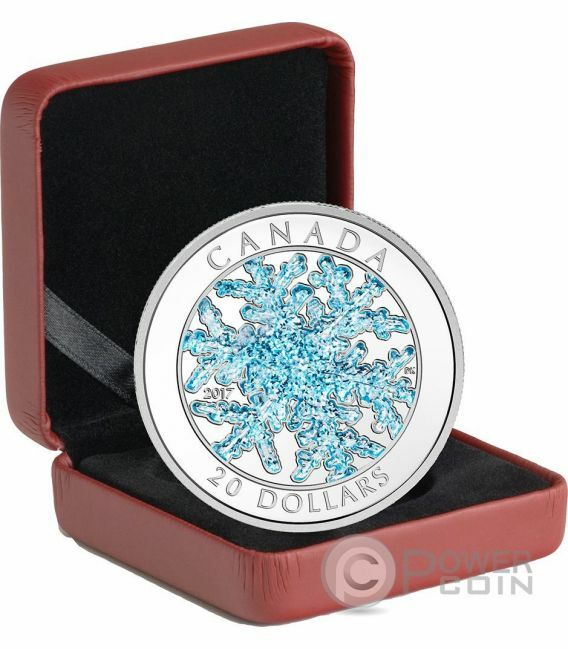 One can easily imagine a hexagon-shaped ice crystal falling through the clouds, growing ever larger and more complex as it encounters changes in temperature and humidity that affect the shape and size of its “arms”.